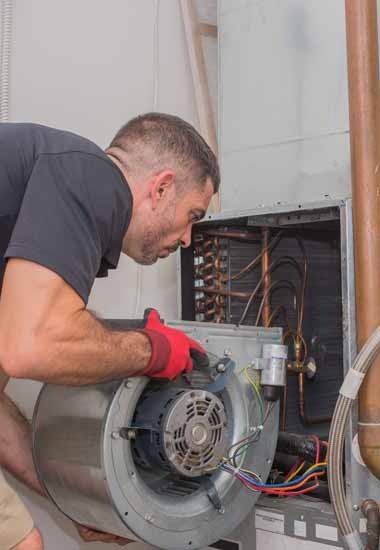 Penguin Cooling and Heating understands the importance of reliable and trustworthy HVAC service, when it comes to managing your heating or cooling system. No one plans for an air conditioning repair, but you’ll need an HVAC service contractor who can get the job done fast and right the first time. The mission of Penguin Cooling and Heating is straightforward and to the point. We put the customer first no matter what size project. 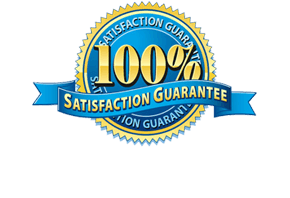 And our goal is clear—100% satisfaction. No exceptions to that focus, ever. We understand the importance of having an HVAC service company that you can count on, and that can solve the problem correctly and reliably the first time you call. To that end, our family-owned and operated business has built a solid foundation of knowledge, reliability, and preparedness. Penguin Cooling and Heating brings over 20 years of experience to every project. We learn from every job and share this expertise with our team. You benefit from the wisdom of every service technician and the wealth of everyone’s skill set. We require all of our representatives to stay current with the state of the industry and its cutting-edge technologies. Every employee undertakes annual recertification on the equipment that we service. We make continued training a priority with our team. We are authorized warranty dealers on all major brands including Maytag, Lennox, Trane, Amana, and much more. We are also an Energy Star partner. We will help you get the maximum efficiency and energy-saving from your HVAC system. Penguin Cooling and Heating appreciates how valuable your time is to you. That’s why we accommodate your needs to schedule service when it’s most convenient for you. We offer same or next-day appointments with no extra charge, even with night or weekend times. We understand how disruptive a furnace or AC repair can be, especially if you had no warning that something was wrong. No one likes to stay home and take off a day off work to wait for a technician to show up for an appointment—especially if your home isn’t comfortable. That’s why we have a No-Hassle, On-Time Guarantee. 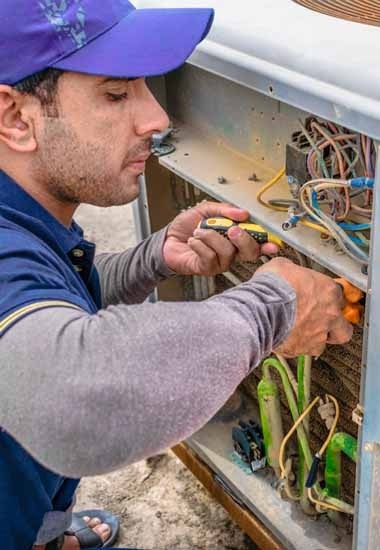 An HVAC service technician will respond to your call within three to five hours. And we’ll make sure that you have heat or air conditioning before we leave. We’ll make it right, every time, no exceptions. Problems with your HVAC system are more than inconvenient. A loss of heat in the dead of winter or a malfunctioning air conditioner during the height of summer also presents a health risk. The uncertainty of when you can get service is not an option. You need help fast. Penguin Cooling and Heating is ready to tackle these critical situations. We offer priority emergency services to get your system back up and running as quickly as possible. We equip our trucks with a full inventory of spare parts to allow our technicians to repair your unit to restore your peace of mind. We are available 365 days a year to take your call with a live person answering every one promptly and courteously. We’ll respond with action to get things under control with expert advice and service. We remove the burden of uncertainty and replace it with reliability and trust. A quick response is one thing. It’s another matter entirely to back it up with a guarantee. You needn’t worry when you hire Penguin Cooling and Heating to take care of your HVAC service or air conditioning repair. We’ll take charge and put you on the road to a solution that works. Penguin Cooling and Heating guarantees all repair and service with a full one-year warranty on both parts and labor. If things don’t end up as expected, we’ll make it right. You have our promise. We understand how frustrating it is to deal with an issue with your heating or cooling system. It’s even worse if it doesn’t get fixed the first time. It means more time and money, something we’ll strive to make sure is not a part of your experience with us. That’s where the time and devotion to education and training pay off in large dividends. We also stand by our EPA-certified technicians by providing them with the training and tools to allow them to provide expert service whether you need a fuse replaced or a full new installation. We foster a culture of teamwork and cooperation that makes our team strong and dedicated. More Than 25 Years Experience! Penguin Cooling and Heating wants you to feel like the VIP that you are as far as we’re concerned. We want to help you stay comfortable without the worry of who to call if your HVAC fails or misfires. We have the tools, knowledge, and experience to solve any heating or cooling system repair issue. We give our team the best so that they can offer the same to you. We also strive to help you avoid problems down the road with affordable maintenance plans that are the best ways to ensure top-notch performance of your HVAC system. We’ll give it a thorough inspection to identify small repairs before they become a major nuisance. Even the best unit has a limited lifespan. However, you can take steps to keep it in optimal working order and get the maximum return on your investment. We’re on your side to make it happen. And if something unfortunate happens, we’ll give you a 15% discount with a preventive maintenance plan. If you need a replacement, we will offer you several options to met any budget and efficiency requests. Is your system acting up with diminished output or running less efficiently? It may need HVAC service from the #1 HVAC contrator in Charlotte, NC! Let us help you restore the comfort of your home with a company that will put you first. Call us at today at 704-296-0800 or message us to get started with Penguin Cooling and Heating.